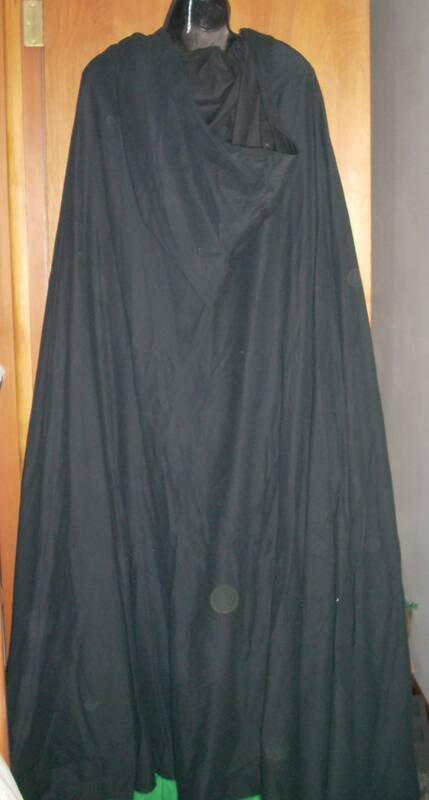 This cloak is made from cotton twill in one layer. You choose your color from the drop down menu above of available colors. This full-length hooded cloak is machine washable on cold and dry on delicate. It is a full half-circle cloak and has a black cord sewn into the base of the hood that ties to keep the cloak in place. The hood may be used to frame the face or pulled forward to shadow the wearer in mystery. One size fits all -- even the very big and the very small. 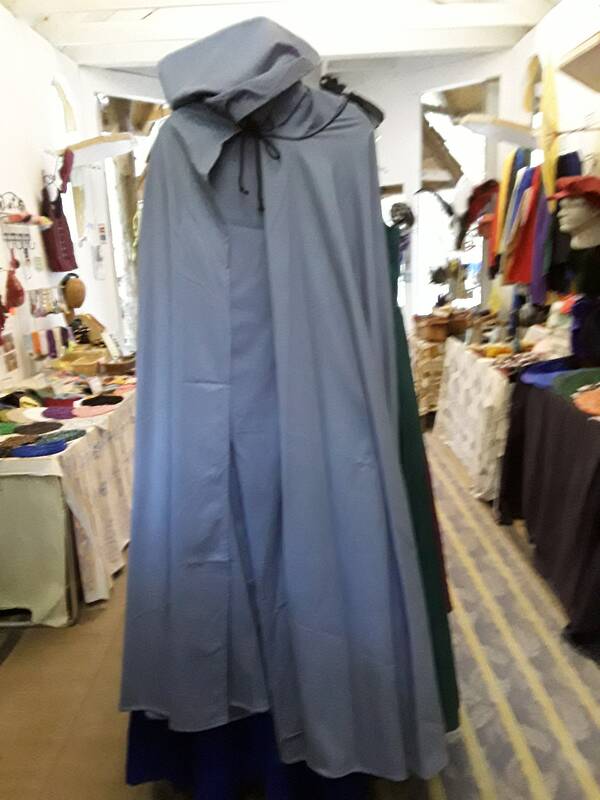 I am 5'3" and this cloak will fall to just above my feet so if you are shorter than me you will need to hem it. Taller people it will just fall somewhere along your calf. The bodice, skirt and chemise shown on the mannequin does not come with the cloak but you can find all of those items in my store. If you are in need of these or any other items to complete your Renaissance outfit please check the rest of my site.